The majority of the time we spend outdoors is done so with an electronic device in our hands, with possibly the exception of hiking or camping. These electronic devices hinder a lot of our natural thinking, but they can come in handy in a survival situation. Electronics play a large role in our society these days, especially phones, tablets, and computers. Those electronics seem to distract most people, and people don’t enjoy being outside as much because of that distraction. Perhaps the one thing we don’t use enough is our minds. However, when presented with a situation that doesn’t allow for the use of electronics, at least for an extended amount of time, we must trust our human instincts to carry us through. Human instincts allow us to survive in some sketchy situations, and they also let us embrace the wilderness and become in touch with the woods. Because we live in a world where we are never far away from our devices, appliances, etc. we neglect most everything else around us. When it comes to camping, the allure of the wilderness and surviving on your own terms become the most important parts of the trip. There is something innately human about roughing it in the woods. It is human nature fusing with Mother Nature. Yeah, it might be fairly easy to go drop camp directly next to a vehicle, but actually hiking up to a camping spot can produce many problems, unseen to the not so experienced camper. Whether or not humans can camp without electronics is moot, because humans never have to. At the very least, humans have a headlamp or lantern that keeps the campsite bright in the absence of a fire. Since as humans, we like to be prepared, it isn’t surprising to see people starting to buy portable batteries for their camping trips. Most hikers have some electronics, other than phones, that are necessary when hiking or camping long distances from civilization. GPS, satellite phones, lanterns, lights, and other vital accessories that use electricity can die out in the wilderness, and as we know, there are no outlets in the woods. 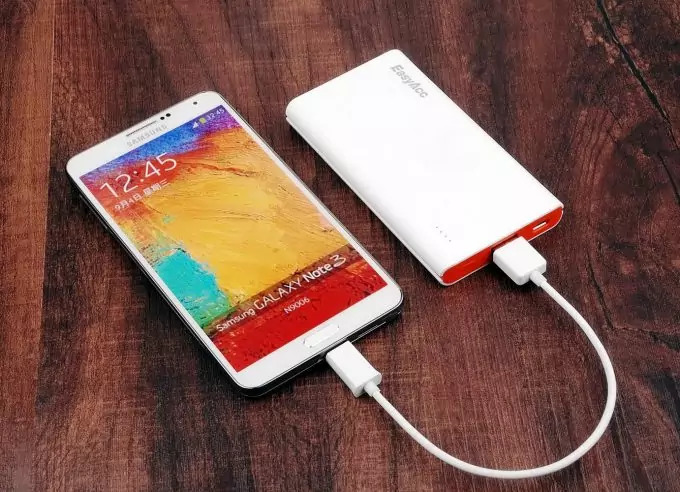 In order for hikers and campers alike to have a way to keep their important electronic devices from dying on them in dire situations, the portable battery has become popular among outdoor enthusiasts. These portable batteries come in all shapes and sizes, as well as being adapted for specific types of electronics whether it be a phone, lamp, or appliance. Although most outdoor aficionados will have the pure knowledge to survive without these electronic devices, it is still important to have the best portable battery, just in case a dangerous situation occurs where it is needed. As was previously stated, portable batteries are used to recharge electronic devices that have died due to prolonged use. The term doesn’t really say much about the battery other than its’ one function, and it definitely doesn’t expand upon it either. Because portable battery is an extremely vague word, it is important to understand what it actually is and does. At its’ very basic definition, a portable battery is a battery that can be used to recharge electronics anywhere. The term, however, fails to mention that a portable battery can charge pretty much anything with a wall plug or USB plug. Some portable batteries are made specifically for charging phones, computers, and tablets. Other types of portables are made to charge GPS or satellite phones, and some even charge small appliances used during camping trips. Finding a portable battery is about choosing which devices you will most likely be charging, and buying a battery based on that choice. Once you have chosen the type of electronics you would like to power, you have won half the battle. Now that the first requirement is marked off the list, we can now talk about how powerful the portable batteries are. If you purchase a portable battery, don’t expect it to power all our electronics for the whole duration of your trip, instead come to terms with the fact that each battery has a different power capability. Some portables have only a couple USB ports, and are used for phone charging. Those types of portables wont be able to produce tons of charges because they are made for primarily phone charging. However, these small batteries charge small devices extremely quick. Be sure to take note of this when looking at the specifications for each product. On the other hand, portables that are made to charge small appliances will allow for a longer charge overall, but they will take longer to charge than a smaller electronic. 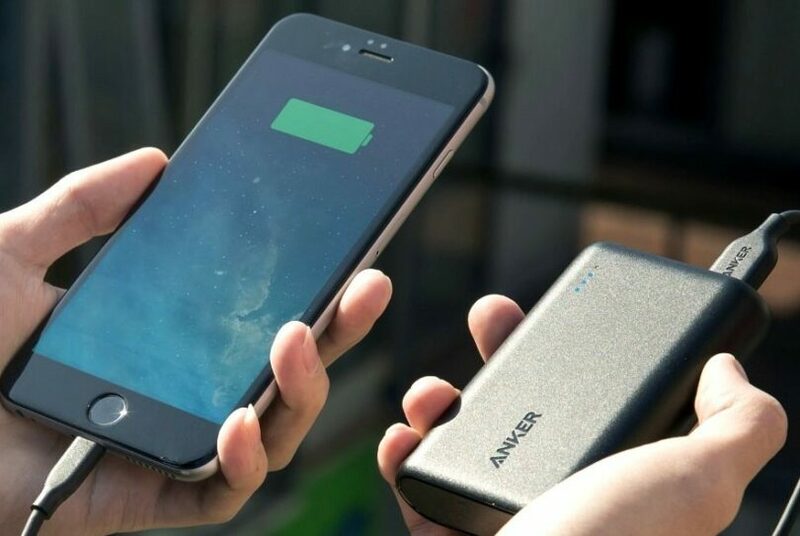 Even though the power of your portable battery may not be the most important factor in finding the best portable battery, other qualifiers will. When purchasing a portable battery, there are too many options to sift through all of them. There are important frills that each device has that need to be mentioned. At the top of the list most likely sits the wear that each device can handle. 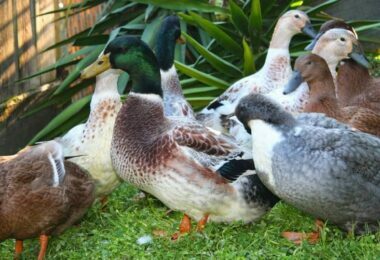 Portable batteries can be waterproof; shock proof, dirt proof, and they can also have resistant traits as well, although we know that waterproof is better than water resistant. Additionally, every type of portable battery has certain plugs that they support for charging. While they are mostly UBS or wall plugs, there are other plugs that can show up. Be careful when looking at the various types of plugs that the portable batteries support. Finally, the last specification to check for is the power that the portable battery possesses. 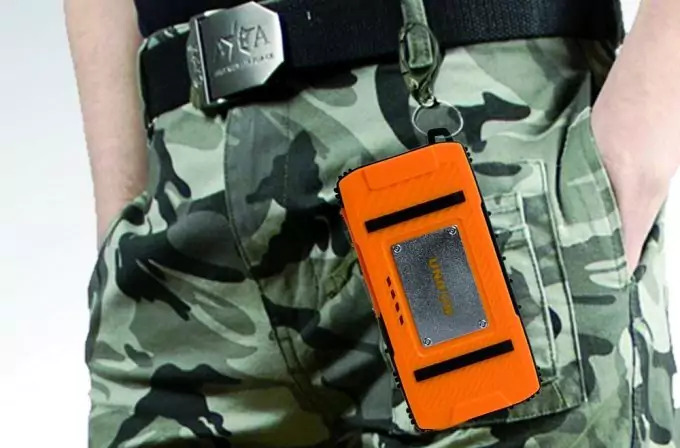 Be sure to make sure the portable battery will be able to charge more than one device and last for at least a few day, otherwise, you are basically wasting a purchase on a survival tool that won’t be there to help you survive. In summary, assess each facet of the portable battery you are looking to purchase, do some research, and then make an informed decision as to which portable battery is best for you. First on the list is the UNIFUN USB external travel battery. This product is waterproof, dustproof, shock proof, and resistant to scratches. This is the travel battery that all the outdoor enthusiasts want. It has two USB output charging ports that allow for simultaneous charging. Also, the UNIFUN portable battery turns off if it isn’t being used, so to save power in certain situations. The core of the battery is lithium, and it can support up to a thousand or so charges. 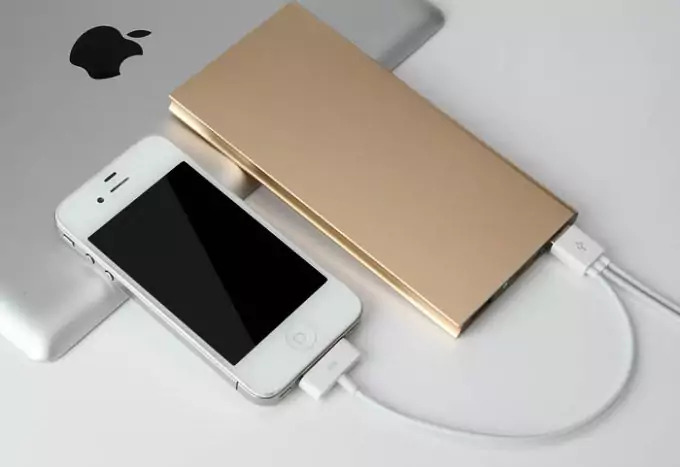 The high speed charging ports of the UNIFUN USB battery support the charging of iPhones, the Samsung Galaxy, as well as tablets and other large devices. The UNIFUN charger has an added flashlight built-in just in case. For a mere $20 you can have one of the best portable batteries on the market. A fairly new technology in the grand scheme of things, solar panels are very useful. 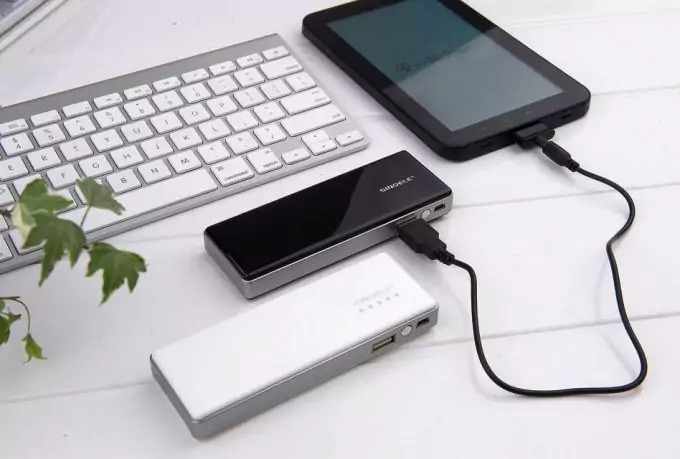 This particular portable battery comes in handy when needed to power a device without being able to sit around and charge it prior to leaving. The solar panels allow the battery to be charged anywhere, anytime, as long as the sun is there. Another lithium powered battery, the Levin battery is lightweight, and comes with an added polymer that makes the battery one of the safest batteries in the entire world. The battery can charge two devices together, and will allow for around a thousand charges in its’ lifetime. Those two devices can be charged through USB ports on the portable battery. While it is rain-resistant and shock proof, I wouldn’t recommend getting it near any water. The solar panel allows for a charge time of about eight solid hours for the battery. For this reason, it would be good advice to use this portable battery only for casual trips. Also, the battery has an LED flashlight attached to it in case of emergency. This product can be bought on Amazon for $25. If there was ever a portable battery that looked the part, the EasyAcc power bank is the one. With its mainly black color, combined with deep blue accents, the power bank feels like it belongs in the woods. It is dustproof, shockproof, and waterproof, making it one of the most durable portable batteries on the market. The power bank can charge pretty much any smart electronic device extremely fast. The power bank claims to save consumers up to half the time charging their phones. The charging is done through USB cable. A built-in flashlight, carabiner, and compass come standard with this device, and are recommended for mountain climbers specifically. The EasyAcc Power Bank can be found on Amazon for about $24. 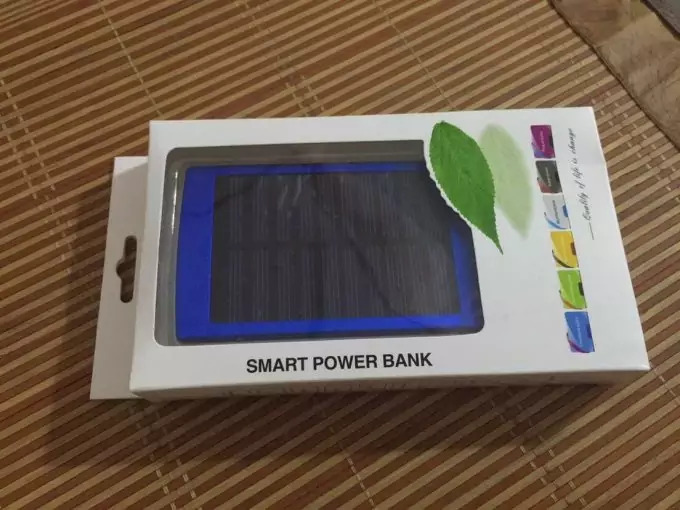 This E-Age power bank sports a solar panel that will charge the portable battery within an appropriate time period. The power bank design is simple, but also looks nice. It can be bought in a wide assortment of colors, and is made with a thin aluminum alloy. The actual battery is lithium ion, and is supposed to make charging electronic devices easy and fast. The power bank comes equipped with over-charging protection, which, in turn, extends the life of the portable battery itself. The makers of the product advise that the consumer charge the battery through the wall the first few times, and ensure that it will perform best after those directions have been followed. On Amazon, the E-Age Dual USB Portable Solar Panel Power Bank can be bought for $12, fairly less compared to the other portable batteries on our list. The Happycoco portable battery is characterized by a simple, yet sophisticated looking design. The black and blue color combination does wonders for those who can’t seem to choose the right color. The power bank comes in a multitude of sizes and two shapes. 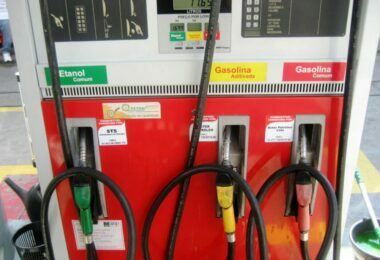 The consumer can either choose an elliptical or rectangular shape depending on the users preference. Also, the portable battery can be bought in blue, yellow, green, and army. It fits into most bags with ease, and is perfect for short camping trips or hiking adventures. The portable battery has an LED flashlight for emergencies, as well as a carabiner that can be used if needed. While the Happycoco power bank may look like it is fairly fragile, but quite the opposite is the case. In fact, the power bank is anti-skid, shock proof, rain-resistant, and environmentally friendly. The portable battery is so shock proof that is won’t turn off or shut down when dropped. Another lithium polymer battery, this battery is one of the safest batteries in the world and will not exploded when heated up to extreme temperatures. The Happycoco battery has a charge life of about a thousands charges. It can be found on Amazon for anywhere from $10-$30 depending on the options chosen. The Poweradd Apollo 3 is known for its ability to charge a wide variety of devices. Whether it be iPhones, a Samsung Galaxy, Blackberries, Tablets, etc., the Poweradd gets the job done. The Poweradd is a USB based charging system that is compatible with lots of devices. It can charge two devices at one at a lightning fast speed. A small portable battery, the Poweradd can be fit into almost any carrying case, and won’t weight you down either. The built-in lithium polymer battery allows for a high quality battery that lasts a long time. The Poweradd can hold over five hundred charges in its’ lifetime. 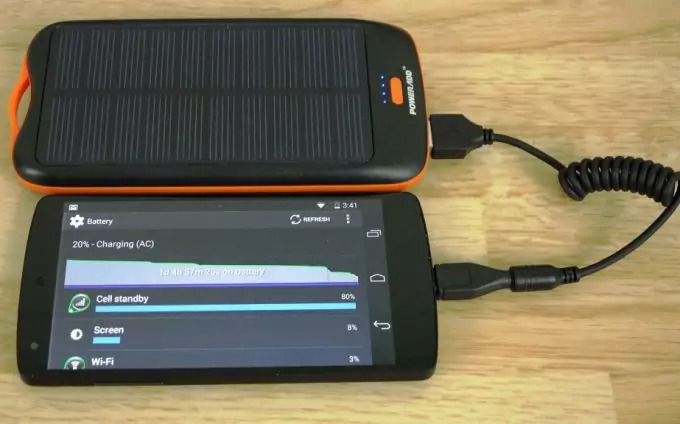 While compatibility and lifespan are equally great qualifiers of a power bank, this particular portable battery has a strong solar panel charge that comes in handy when in any dangerous survival situation. The Poweradd Apollo 3 portable battery is sold for $30 on Amazon.com. Which battery would be best for you? In summary, portable batteries can save lives when it comes to outdoor enthusiasts. While most avid hikers have the human instincts and presence of mind to survive in most dangerous situations, the casual camper might not be so gifted. This is where portable batteries come in. 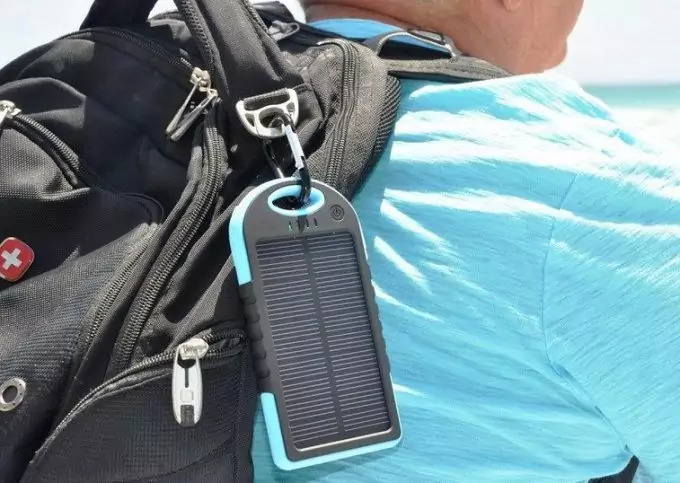 They can be bought almost anywhere, for a good price, and they make sure that precious electronic devices that are necessary to inexperienced (or experienced) hikers, allow for a quick charge so that their devices can be powered on in times of need. 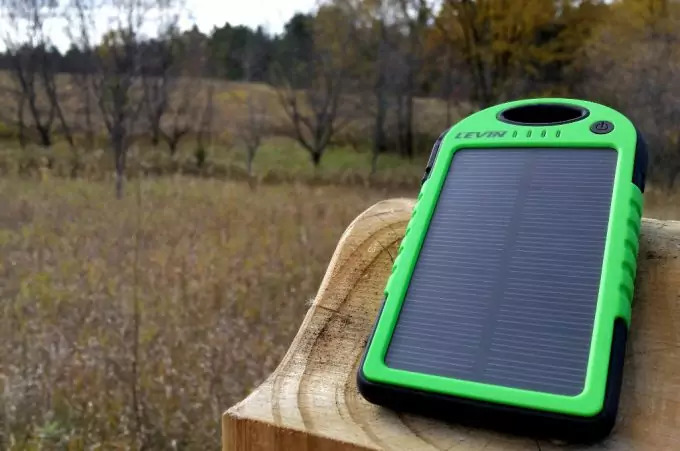 Although having a solar panel is extremely helpful when out in the woods, the UNIFUN USB External Travel Battery is the best portable battery you can buy. It combines safety, with durability and ease of use to form a stellar product that you will carry with you for a long time. There are many great products out there with a lot of qualifications, so be sure to double check and research any portable battery you come across. Look for products that come with guarantees attached to them, so that you can get another one if the product isn’t efficient enough. 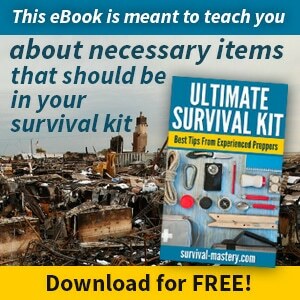 Just as with any survival accessory, it is key to choose the best product so that it works when you need it to the most. 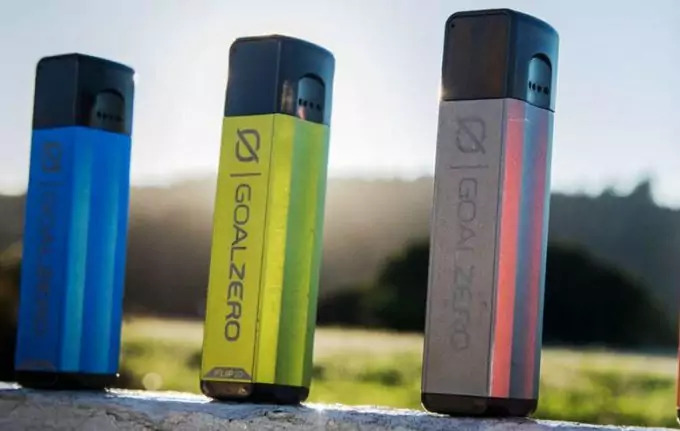 The casual camper will use portable batteries for their smart phones and anything else they deem worthy of getting a charge, but in reality, it should be the critical devices that get the charge. If that is a GPS, satellite phone, or something else, then so be it, just don’t let electronic devices like iPhone make your choice. Choose a product that will work for a bunch of types of electronics and a product that will last a while as well. As with any survival situation or just camping in general always be prepared. Buying the right equipment at the right times will allow you and your travel companions to have a drama free trip as long as you stay prepared. One of the worst things you can do is buy something because it is the cheapest or easiest when it comes to the outdoors. As most consumer have realized by now, sometimes the most expensive product works the best, and if that’s what it takes to make you and your travel partners feel safe, then so be it. There is no excuse for taking the cheap way out when camping or hiking. 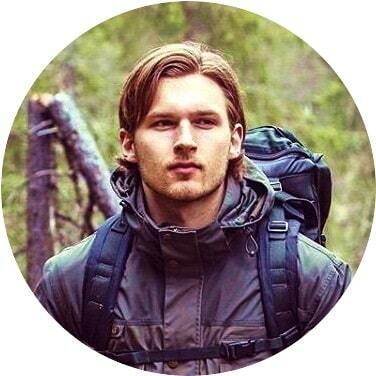 Only problems will arise from cheaply made survival gear, especially if you are in a serious and dangerous situation, and problems are something that you can’t have when trying to survive and make your way back to society.